Employers are extremely busy. They don’t have time to learn yet another whole area of regulations. They need the right employees in the right places. We are the ones you designate to advise and manage this area with you. What sets us apart is that we do not hire large numbers of temporary paralegals to mass process large volumes of cases. We advise you on your cases. We’ve seen a number of instances in which people have come to us after a problem arose from a firm mass processing applications on a large scale and missing important facts unique to that specific case. There are many types of visas that will allow an employer to hire a foreign national. Many are for a set duration, or a specific job, or specific countries. For example, an E visa for a foreign investor or for international trade requires the U.S. have a certain specific treaty with the foreign national’s country in order to qualify. A TN visa under NAFTA requires the person be a national of Canada or Mexico, and is also limited to specific jobs. A TN also requires specified qualifications for each allowed job. The bottom line is the specific job duties, qualifications, and nationality of the prospective employee need to be analyzed to determine that there is a fit that will work. The prospective employee must also be admissible. 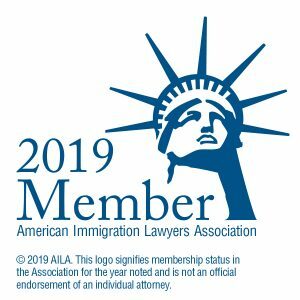 This means the employee’s background including any criminal arrests, prior immigration history, and much more must be obtained to make sure that if the employer were to petition for a certain visa status, the employee is actually eligible to receive the visa. We work with employers on a one-on-one basis to obtain needed details of the position, and do the analysis for you. Based on the analysis of the position and your goals, we can recommend which visa will work best for the specific situation. Visas for permanent residence, that aren’t limited to a specific timeframe, are subject to a system of preferences detailed on the Employment-based visas page of this site. Most of them require the employer to go through a process called labor certification as a prerequisite to filing a petition with Immigration. The labor cert, currently known as the PERM process, means the U.S. Dept. of Labor certifies the position as being one for which Americans aren’t available to do. We take you through each step of this process from the job description, obtaining the required prevailing wage determination, advertising the position in specific locations for specified time periods as required by law, to preparing and filing the labor cert application. We provide custom immigration solutions for your needs and goals. We have the experience and know-how to handle what you need. Contact us to see how we can help you.